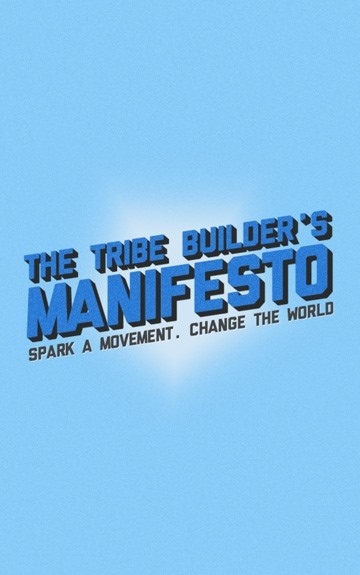 The Tribe Builder's Manifesto: Spark a Movement. Change the World. What does it take to spark a movement? Change the world? A TRIBE is One Idea, One Leader and One Community. This model is igniting movements around the world. Are you COMPELLED to start one? You have a spark within you that has the power to change the world and people around you. You've heard this voice inside, haven't you? You must DECIDE to respond. What about the resistance that is there and ready to stop you from entering into your purpose? Are you prepared and equipped to RISE above it? Jason lives in Asheville, North Carolina with his wife, Julia and kids Jordan and Jorianna. He enjoys hiking and finds inspiration in the great outdoors and natural beauty that the Blue Ridge Mountains have to offer. He’s been an entrepreneur and visionary leader his whole adult life. His entrepreneurial pursuits include both offline and online ventures. In 2008 he made his move to full time internet-based business when he built his first lead generation, affiliate marketing company. TRIBE.LY was incubated from a tug on Jason’s heart to pursue his own purpose, and activate his own gifts. Jason has a passion for serving entrepreneurs, and empowering them with belief, activation, tools and resources to awaken their gifts and make their dreams come alive. Jason is also founder of The Flight Formula, a heart centered business incubator that leads small TRIBES of people through a process of discovering their heart's gift, their life purpose and building sustainable business models doing what they love. It is an incredibly effective hybrid combination of life coaching and business + internet marketing training. "Great motivating and inspirational read...imagine if we all followed it...just have to see that obstacles are fun challenges...we all have moments of doubt, lack of confidence." - Rosie B.